If you want safety this is a must have system. It detects anything around your entire car, so you have full coverage. 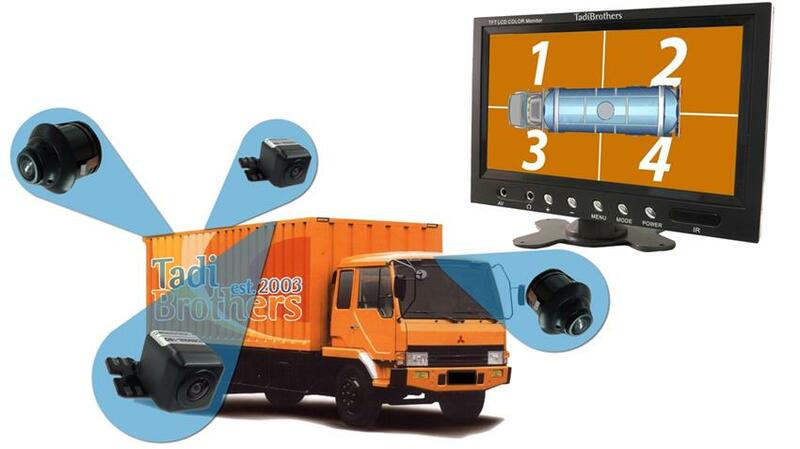 The assist system will show video images around the entire truck simultaneously. You have 4 wide 180 degree angle cameras installed on the FRONT, REAR, LEFT, and RIGHT side of the car for that full 360 Degree image. All the cameras have Color and Nightvision. The software of the system splits and joins the images so you get the best view possible. You can intuitively catch sight of the location and obstacles around you. Many high end vehicles have this type of Safety System. It is the future of driving safely. You will always know your surroundings. TadiBrothers would like cars without this to be the thing of the past! This system is also made specifically for trucks.